This wastewater treatment plant (WWTP) required major renovations and expansion to keep pace with the region’s economic and population growth and technological advancements in the wastewater industry. 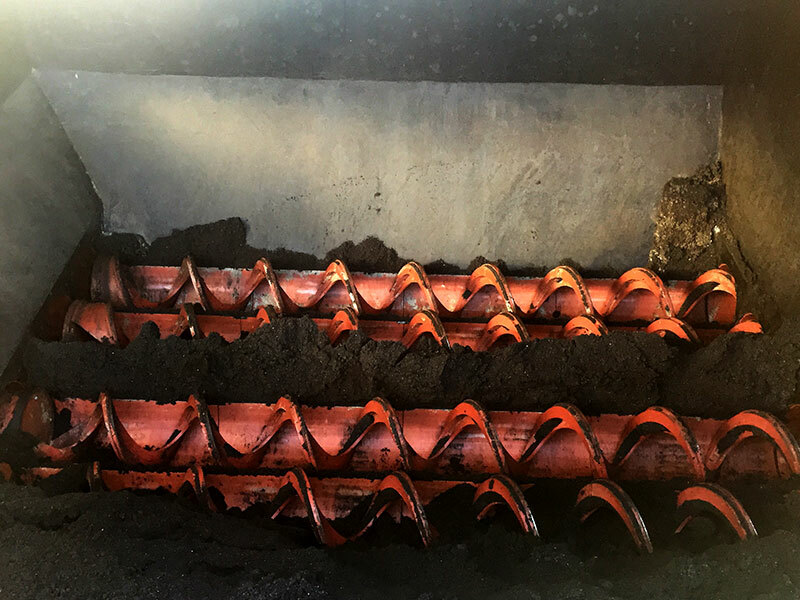 The system can be used to convert biosolids into a Class A EQ biofertilizer product or to reduce “waste” volumes and increase biogas production in digesters for green energy. The end material can also be used as a safe, affordable alternative source of carbon for use in biological nutrient removal (BNR) systems. 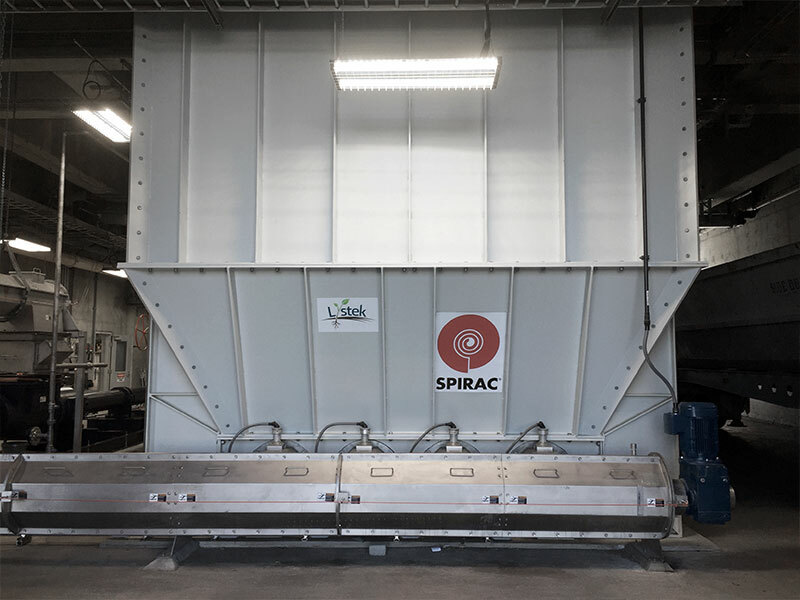 SPIRAC was selected by Lystek to play a role in the development of a practical solution to manage large volumes of biosolids and other organic feedstock. Currently one live bottom receiving bunker feeds the feedstock silo. The scalable system also needed to allow for future growth and capacity. Therefore, it was purposely built to allow for the addition of a second receiving bunker, as required, in the future. The system can handle biosolids in the range of 15 - 30% D.S. 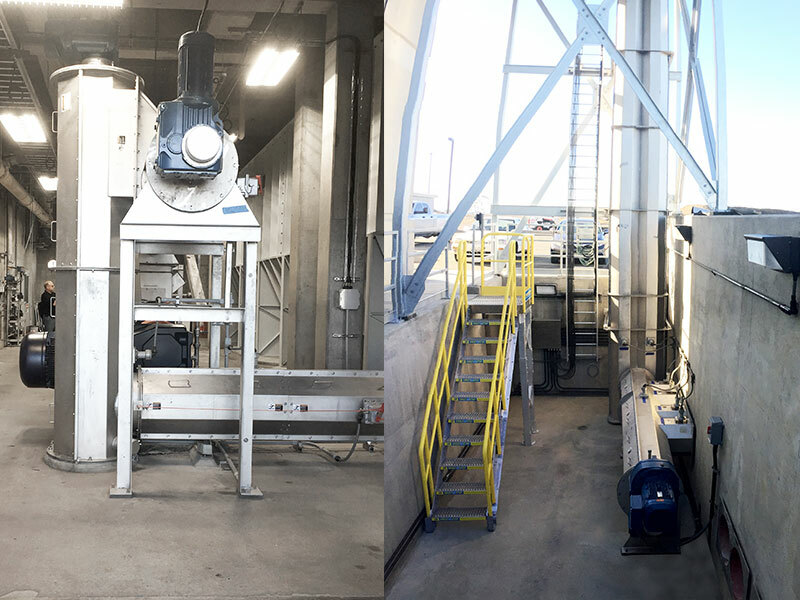 The Live-Bottom silo can handle a maximum volumetric flow rate of 2100yd3/hr (1600m3/hr). and has a total capacity of 310yd3 (240m3).